FLOWERY BRANCH, Ga. — Atlanta Falcons tight end Austin Hooper wore a smirk on his face when asked about the early-season criticism directed toward offensive coordinator Steve Sarkisian. Well, the people outside suddenly are calling Sarkisian brilliant, with the offense clicking on all cylinders and the Falcons riding a three-game winning streak into Sunday’s road contest against the Cleveland Browns (1 p.m. ET, Fox). 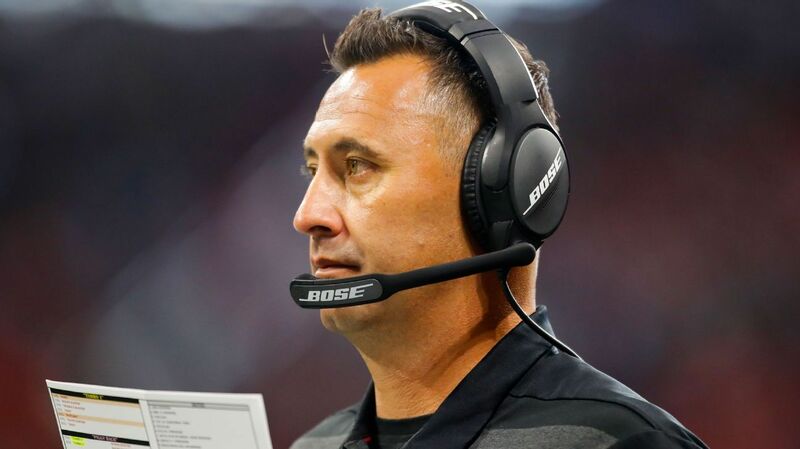 Sarkisian’s offense ranks first in the NFL in third-down conversion percentage (53.3 percent), fifth in points per game (28.5 PPG) and seventh in red zone efficiency (69.2 percent). A reporter asked Sarkisian on Thursday if he felt like giving a verbal middle finger to his critics. “No, not at all,” Sarkisian chuckled. “I’ve said this before: I’ve been in this business for a long enough time now to know it comes with the territory. When things are good, people probably think you’re better than you are. And when things aren’t going great, they probably think you’re worse than you are. Quarterback Matt Ryan, who is having an MVP-caliber season while completing 70.8 percent of his passes, pointed to one play in particular that illustrated just how much Sarkisian should be respected as a playcaller. It was the screen pass to Julio Jones on third-and-2 in the fourth quarter Sunday in Washington. Jones followed his blocks, shook off a tackle attempt by safety Ha Ha Clinton-Dix at the 5-yard line and backed into the end zone for a 35-yard touchdown — Jones’ first score of the season.